The Polley takes the grade school uniform look and turns up the edgy schoolgirl rebellion. Now in Virginia, a soft, fine-grained leather, the Polley is current Tokyo street style and '90s throwback at the same time—and happens to be the most comfortable shoe to wear to your next underground punk show. Built to last, the adult-sized Mary Jane is made using one of the finest methods of construction: the Goodyear Welt — which means the upper and sole are sewn together in our heat-sealed z-welt stitch. 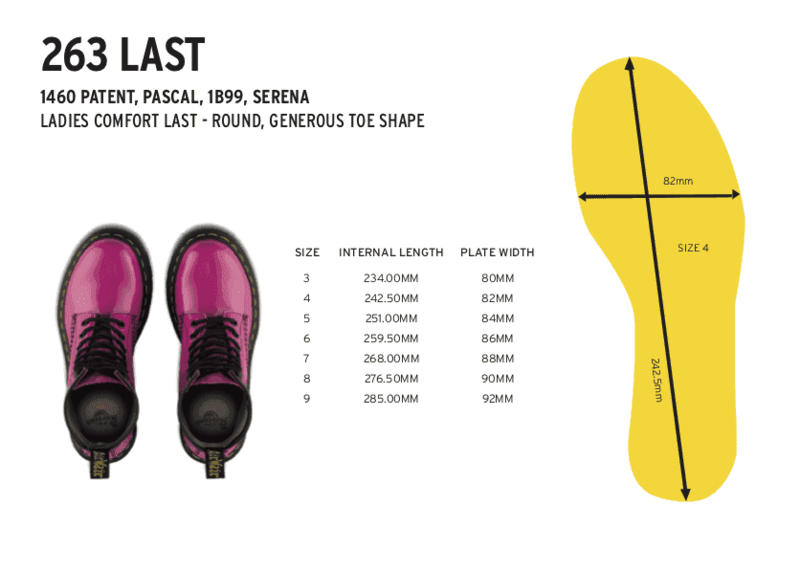 The women's shoe sits on our durable, comfortable AirWair™ sole, that's oil and fat resistant with good abrasion and slip resistance.